Machine based telepathy or synthetic telepathy is used in certain covert intelligence areas beyond classified and Top Secret. A reminder all operations since the beginning of red helmet projects and prior called project Bluebird or MK Ultra were indeed about utilizing ones energy field, prana or life-force and mapping ones psychic abilities. 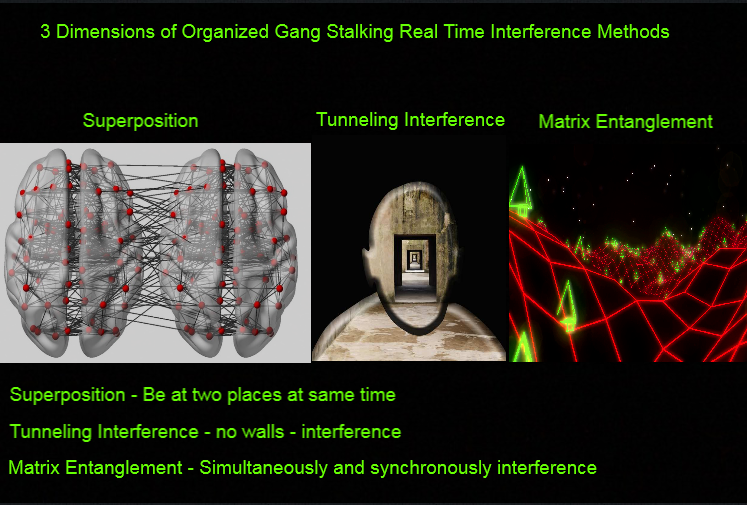 Machine based telepathy inter-phase using a conscious remote agent interconnected with its target or subject is an experience beyond description. The visuals come fast in live communication. A man made inter-dimensional space opened. It goes beyond physics to some extent as the not so human mind is more than a driver. A supercomputer able to synthesis and work faster than the most advanced machine. The mind works on many levels beyond the speed of light. Frequency and vibrational speed have a lot to do with computer interphase. Mapping tactics are done during the process. The energy is mapped and measured on many levels yet there are still many things their instruments cannot pick up. The mind is intricate and complex. There are many subtle bodies connected into ones supercomputer mind. The Super-conscious or higher self, conscious, subconscious, mental, emotional, physical which is indeed silicon based. The unique design and structure mutates due to ones spiritual evolution and ascension frequencies both planetary and personal. This goes beyond the illusion of carbon as ones true design is quite crystalline in structure containing geometric formulas and equations in vibration and consciousness. The mind and body composed of light body is quite responsive and resonates with higher dimensional grid works and light languages. Intent and energy is more than powerful. The machine based telepathy measures, maps and interphases with ones psychic energies. The downside is these programs can be directed for assault purposes which in turn can be abusive to the subject which displays more than disrespect to ones sacred temple and mind. Voice to Skull communications bypasses the ears so to speak and is done by electromagnetic field tagging. The holographic mind is more than complex and a finely tuned instrument. Consciousness is what resides beyond the programs one is conditioned to receive at the illusion of a birth cycle on planet Earth. Infinite knowledge is what resides in our cells, atoms and higher consciousness. Always guided and sometimes driven by Spirit. With programs such as mk ultra there is a false matrix created using psychological and remote warfare. The handler or live agent uses a driving mechanism to create an affect or response from the target. The electromagnetic fields are tagged and mapped interconnected on to a man made supercomputer hard drive used to play chess with ones supercomputer mind. Conscious remote pictures are used to create, add or alter an emotional response or reaction. The data played back onto ones fields and through the minds eye in remote machine telepathy as a feedback in a virtual space. As the psychic centers and secondary circulatory system become mapped brainwaves are then attempted to be manipulated by remote signals creating a parallel conversation or man made interpolation of what normally could be a truly celestial event. The more global government becomes dependent on technology the weaker they become. Their technology is not based on higher consciousness or multidimensional evolution which is a critical factor in success on a global scale. They are driven by hate, greed, corruption, money, ego and lies. Their advanced machine based telepathy is nothing but a monologue of dictation. It has no true intellect, logic or multidimensional knowledge and is nothing but a shell of code. They targetting individuals with psychologial warfare and syntethic telepathy to control and manipulate a subject with mind games and torture. There will be psychological warfare, mind games and torture. And when the subject does not do what the handler requests there will be a feedback of harassment, body and mind assault and all sorts of torture methods. Their behavior is getting uglier by the day. They targetting and monitoring them with paranoia methods and paranoia psychology.